That being said, you don't want to overeat either, as digesting food takes energy, and your body needs all the energy it can get to go toward fighting off the illness. A better approach is to listen to your body; eat when hungry and don't worry about it if you're not, while always focusing on drinking plenty of fluids. And, when you do eat, make every calorie count by focusing on nutrient-dense, whole foods, including these specific dietary choices depending on your condition. The BRAT diet, which stands for Bananas, Rice, Applesauce, and Toast, is often recommended if you're recovering from upset stomach or diarrhea. These bland, "binding" foods can help to firm up your stools and the bananas contain potassium to help replace lost nutrients. A normal, whole-foods diet with fruits, vegetables, meat, and dairy products, such as raw grass-fed yogurt, is generally fine to consume within 24 hours of getting sick. And consuming plenty of water and other fluids, like mineral-rich bone broth, for instance, is important. Most important, however, is to make sure you take a high-quality probiotic. When treating acute infectious diarrhea, large therapeutic doses are required. If you have a high-quality probiotic with over 50 billion CFUs per dose you could take four initially and then three to four more times that day on an empty stomach. Once your illness resolves, you should continue higher doses of four twice a day for a few more days to help recolonize your gut. An alternative is to consume fermented vegetables, which may contain 100 times more beneficial bacteria than a probiotic supplement. In addition, compromised stomach acidity is a common hindrance to optimum digestion. Low stomach acid may leave you more susceptible to infectious disease including food poisoning and traveler's diarrhea. This can frequently be aided by supplementing with hydrochloric acid (Betaine HCL) or digestive enzymes. Taken together, digestive aids like hydrochloric acid (HCL), enzymes, and probiotics/fermented vegetables can actually be powerful tools to maintain a more acidic and beneficial environment in your stomach and intestines that will help your digestive system work optimally and avoid diarrhea. There is also some truth to the old advice about eating burnt toast for an upset stomach and diarrhea, but it's probably more effective to use activated charcoal. Activated charcoal is typically used to treat accidental poisoning with toxic chemicals, because it helps absorb the toxins before they can enter your bloodstream. This may be an effective remedy in cases of diarrhea linked to food poisoning or travelling. It is non-toxic and can be purchased in most drug and grocery stores. Finally, goldenseal may be helpful for diarrhea as well, as laboratory studies suggest that berberine, the active ingredient in goldenseal, has antibacterial and immune-enhancing properties. If you have diarrhea, you'll want to avoid artificial sweeteners known as sugar alcohols (such as xylitol glucitol, sorbitol, maltitol, mannitol, glycerol, and lactitol). Sugar alcohols provide fewer calories than sugar because they're not completely absorbed into your body. Because of this, eating too many foods containing sugar alcohols can lead to abdominal gas and diarrhea. Constipation is defined as passing hard, dry stools that you have to strain to move, and it's typically accompanied by decreased frequency of defecation. Straining is not normal, nor is experiencing feelings of incomplete elimination, bloating, crampiness, or sluggishness after going number two. If you're over the age of 65, your risk of becoming constipated increases significantly. If you're constipated, you should tweak your diet so that it includes whole foods, particularly fresh, organic vegetables and fruits that provide good nutrients and fiber; most of your fiber should come from vegetables, not grains. Grains actually contain anti-nutrients that may damage your health. Ironically, since we're often told that whole grains are one of the best sources of fiber for our health, the high-fiber bran portion of grain – a key part that makes it a wholegrain -- actually contains many of the anti-nutrients. Also, grains contain sticky, pasty proteins known as prolamines (which include gluten in wheat), which largely cancel out any benefit you think you are getting from the relatively "higher fiber" they contain versus processed grains. Assuming your gut is generally healthy, I believe most people need upwards of 32 grams of fiber a day. Most Americans get nowhere near this amount. If your diet could use more fiber, resist the urge to fortify it with whole grains. Instead, focus on eating more vegetables, nuts, and seeds. The following whole foods, for example, contain high levels of soluble and insoluble fiber. The human digestive system is not designed to break down fiber. Instead, it ends up undigested in your bowel, where the majority of your gut flora resides. If your gut flora is healthy, i.e. dominated by beneficial, probiotic species, then these microbes will feed on the fiber and proliferate. However, if your gut is filled with pathogenic bacteria and/or yeast and fungi, fiber may actually make your symptoms worse, as it is a non-specific growth factor for intestinal bacteria, and does not discriminate between pathogenic and beneficial bacteria. So, if your bowel is predominantly dominated by pathogenic microbes, pathogenic microbes will feed on fiber and proliferate, making whatever health problems you have worse. So while increasing fiber from vegetables is important if you're constipated, so, too, is making sure you're introducing that fiber to a healthy gut environment. The key to doing this is to reduce your intake of excess sugar while adding naturally fermented foods into your diet, such as (non-pasteurized) sauerkraut, pickles, and kefir (if you tolerate dairy). Finally, certain medications can worsen constipation. This includes iron supplements, pain medications (narcotics), certain blood medications, and some antidepressants. Peppermint oil also effectively reduces nausea, including chemotherapy-induced nausea,9 so sipping peppermint tea can be helpful. Some people also find nausea relief from lemon tea or sucking on fresh or frozen lemon slices. It's often said that sipping a carbonated beverage, like soda, can help to settle a nauseous stomach, but this is a myth, and, in fact, sugary drinks may make the illness worse. Other foods that should be avoided if you're nauseous are greasy, spicy and oily foods, caffeine, and alcohol. If you have progressed from nausea to vomiting, put your stomach at complete rest for at least three hours. That means absolutely nothing to eat or drink, including no water or the old wives' tale favorite of crackers and soda. Once three hours have passed and no further vomiting has occurred, then small amounts of water can be sipped slowly. Again, only after your symptoms have stabilized and no additional vomiting is occurring, small amounts of water can be sipped. If that is tolerated, you can gradually increase the water. Do this for one to two hours and if that is tolerated then you are ready for the final phase, which is massive amounts of a high-quality probiotic. Make sure you use a high-quality brand, then take large doses every 30 to 60 minutes until you feel better. By large doses, I mean finish the entire bottle in 24 hours if necessary. It usually won't be necessary, though, as most people seem to improve within several hours after following the above instructions. If you have a sore throat, you'll want to avoid foods that may irritate or scratch your throat, such as nuts and granola or acidic foods like lemon or orange juice. Soft, nutrient-dense foods, such as raw grass-fed yogurt and kefir, mashed sweet potato, or mashed cauliflower will be easy to swallow. You can also sip on warm bone broths and green tea. For calming, peppermint tea is a good option, as it has both pain-relieving and anesthetic effects. Add in a bit of raw Manuka honey, which has antibacterial activity and is known for helping with wound healing. Honey has long been used as a natural remedy for sore throats, and modern research has confirmed that honey is such a potent anti-infection/anti-inflammatory product it can rival antibiotics. A common natural remedy for a sore throat is tea with honey and lemon. The main thing to remember when it comes to honey is that not all honey is created equal. The antibacterial activity in some honeys is 100 times more powerful than in others. Processed, refined honey is NOT appropriate, as it does not impart the same health benefits as raw honey when consumed. So make sure you're only using raw honey, or Manuka honey, to treat a sore throat. Another caveat is that you don't want to give honey to children under the age of 2, as botulism can occur due to the child's immature immune system if the honey is contaminated. Additionally, keep in mind that honey, if not consumed in moderation, will increase your insulin and leptin levels and can lead to poor health. So avoid using it for chronic conditions. If you or your child tends to get frequent sore throats, please understand that this is a sign of a poorly functioning immune system. If that's the case, then you really need to focus on healing the underlying cause. Other home remedies that can be quite effective for sore throats include gargling with warm salt water. To treat a cold or sore throat, gargle with a 1 percent saltwater solution (but don't swallow). Colloidal silver also has natural antimicrobial activity, including strong antibacterial and antiviral properties that may benefit many types of sore throats. However, since there are potential health risks involved if you select the wrong formula, I recommend you use colloidal silver only under the guidance and supervision of a qualified alternative health practitioner who can help you select a high-quality product and proper dosing. While dehydrating beverages, like alcohol, can make muscle aches worse, magnesium- and calcium-rich foods may help to ease soreness. Few people get enough magnesium in their diet these days. Meanwhile, calcium tends to be overutilized and taken in high quantities. This can cause more harm than good, as it's very important to have a proper balance between these two minerals. If you have too much calcium and not enough magnesium, your muscles will tend to go into spasm (this has consequences for your heart, too). You can typically get enough calcium from your diet by eating nuts, seeds, deep green leafy vegetables, and dairy products. Homemade bone broth is another excellent source. Seaweed and green leafy vegetables like spinach and Swiss chard can be excellent sources of magnesium, as are some beans, nuts and seeds, like pumpkin, sunflower, and sesame seeds. Avocados also contain magnesium. Juicing your vegetables is an excellent option to ensure you're getting enough of them in your diet. However, most foods grown today are deficient in magnesium and other minerals. Herbicides, like glyphosate, also act as chelators, effectively blocking the uptake and utilization of minerals. As a result, I believe it would be highly unusual for anyone to have access to foods that are rich in magnesium, which is why I believe it is prudent to consider a magnesium supplement. This is my personal strategy even though I have access to highly nutrient-dense foods. First, many foods can trigger headaches, so if you're prone to them you'll want to avoid artificial sweeteners, MSG, aged cheeses that contain tyramine (such as blue cheese), chocolate, red wine, processed meats, and dried fruits. As for what to consume, water is the most important step, as dehydration is a leading cause of headaches. About 50 percent of those with recurrent headaches are deficient in magnesium, so increase your consumption of green leafy vegetables, which are rich in bioavailable magnesium. Spirulina is another good source. Vitamin B2 deficiency can also contribute to headaches and migraines, so eat more vitamin B2-rich foods, such as spinach, beet greens, mushrooms, and asparagus. If you struggle with frequent headaches or migraines, "America's Pharmacist" Suzy Cohen recommends taking 200-400 milligrams of B2 per day. Earaches typically coincide with other symptoms and are often the result of upper respiratory infections. Foods that clear congestion, such as chicken soup or bone broth, may therefore be helpful. Chicken contains a natural amino acid called cysteine, which can thin the mucus in your lungs and make it less sticky so you can expel it more easily. Processed, canned soups will not work as well as the homemade version made from slow-cooked bone broth. For best results, you really need to make up a fresh batch yourself (or ask a friend or family member to do so). If combating a cold or other respiratory infection, make the soup hot and spicy with plenty of pepper. The spices will trigger a sudden release of watery fluids in your mouth, throat, and lungs, which will help thin down the respiratory mucus so it's easier to expel. In addition, one simple treatment you can try that is surprisingly effective against upper respiratory infections and earaches is hydrogen peroxide. Many have had remarkable results within 12 to 14 hours when administering a few drops of 3 percent hydrogen peroxide (H2O2) into each ear. You will hear some bubbling, which is completely normal, and possibly feel a slight stinging sensation. Wait until the bubbling and stinging subside (usually 5 to 10 minutes), then drain onto a tissue and repeat with the other ear. A bottle of hydrogen peroxide in 3 percent solution is available at any drug store for a couple of dollars or less. It is simply amazing how many people respond to this simple, inexpensive treatment. 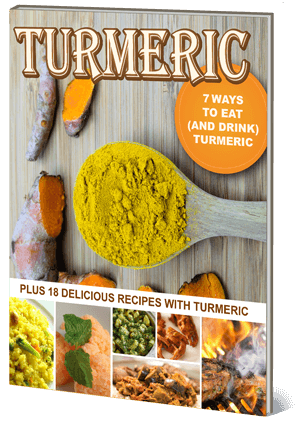 "'…golden milk…' includes turmeric, a spice known for its anti-inflammatory properties. Place 2 cups of coconut… milk in a saucepan with 1 tsp dried turmeric, 1 tsp dried ginger, a dash of black pepper, and honey to taste. Bring to a simmer, allow to sit for 10 minutes and serve warm." Feel Like You're Coming Down with Something? If you feel yourself coming down with something like a cold or flu, this is NOT the time to be eating sugar, artificial sweeteners, or processed foods. Sugar is particularly damaging to your immune system -- which needs to be ramped up, not suppressed, in order to combat an emerging infection. So if you are fighting a cold, you'll want to avoid all sugar like the plague, and this includes sugar in the form of fruit juice and even grains (which break down as sugar in your body). Ideally, you must address nutrition, sleep, exercise, and stress the moment you first feel yourself getting a bug. This is when immune-enhancing strategies will be most effective. When you're coming down with a cold, it's time to address ALL of the contributing factors immediately, which includes tweaking your diet in favor of foods that will strengthen your immune response. Those factors are outlined in the table that follows. Fermented foods such as raw kefir, kimchee, miso, and fermented vegetables, which are rich in probiotics. Scientific research shows that 80 percent of your immune system resides inside your digestive tract, so eating probiotic-rich foods or taking a high-quality probiotic will help support your immune health. Garlic, a potent antimicrobial that kills bacteria, viruses, and fungi. Ideally, this should be in fresh form, eaten raw and crushed with a spoon just before eating. Herbs and spices with high ORAC scores: turmeric, oregano, cinnamon, and cloves. Make sure you are drinking plenty of fresh, pure water. Water is essential for the optimal function of every system in your body, and will help with nose stuffiness and loosening secretions. You should drink enough water so that your urine is a light, pale yellow. Chicken soup/bone broth. Yes, it does work! A study published over a decade ago found that chicken soup indeed has medicinal qualities, significantly mitigating infection caused by cold and flu viruses.